When Rachel Alter started off as a graduate student, she expected to investigate epidemics, bioterrorism and disease eradication. But her focus started to shift after she began chatting with anti-vaxxers—people opposed to vaccination—on Facebook. Now, as a research assistant at the National Center for Disaster Preparedness at Columbia's Earth Institute, she wants to find ways to better communicate about vaccine safety. In recent op-eds, Alter has called for a national movement to dispel the myths that feed into anti-vaccination fears. Despite an abundance of evidence showing that vaccines are perfectly safe and save lives, many people reject them, stoked by the frightening misinformation that spreads over social networks. Vaccine refusal is having a real-world impact. Two decades ago, measles was all but eradicated from the U.S. Now, cases are skyrocketing, with more than 1,700 infections since 2010. Alter notes that in the first six months of 2018, more than 41,000 Europeans contracted measles and 37 died. In her op-eds, Alter has argued that it's time for a movement to battle the spread of false information about vaccines. She's calling on organizations—such as FEMA, the Red Cross, and the American Academy of Pediatrics—as well as faith leaders and survivors to get involved in the conversation on Facebook, Twitter, and Instagram. She also suggests that celebrities could play an important role in setting a good example, and that schools could help students learn how to distinguish between credible and non-credible information. One of the most important things you can do to combat the resurgence of obsolete diseases is simply to get vaccinated. Not only does this help prevent you yourself from getting sick, but also makes it harder for the disease to find its way into your community, thanks to herd immunity. And when you get vaccinated, tell your friends. They'll be more likely to get vaccinated, too. You could also try talking to the people in your life who refuse vaccines. From her experience as a "pro-vax troll"—she's been booted from several groups simply for sharing real science—Alter has learned a few lessons about navigating this sometimes tricky terrain. She says that she sees three types of people in the anti-vax community. She rarely engages with the strongest vaccine opponents, nor the profiteers—people who make money from selling anti-vaccine hype—because those discussions are rarely fruitful. When she does, her goal is not to convince them to change their minds, but to have a public conversation with them so that people on the fence about vaccines can read along and come to their own conclusions. It's those people on the fence, the less vocal majority in the Facebook groups she's joined, that Alter hopes to convince. "They're people who just get so much information that they don't know what to believe and they don't know how to pick apart the real data from the fake data," she explains. "They're the ones who you can have fruitful conversations with." 1. Be respectful. Nobody likes to be called an idiot or be told that they're bad parents. "We have to come from a place of empathy," says Alter. "The vast majority of [anti-vaxxers] are really just trying to do what's best for their families and their kids, and they don't have the science literacy to weed through all the information." 2. Don't bombard them with facts. Facts and statistics can be helpful, but too much at once can be overwhelming and exhausting. "Be mindful," Alter advises. "Note how that conversation is going" and adjust accordingly. If it looks like someone else is handling it well enough without your input, sit back for a bit; you can always join in later. 4. Find out where they're coming from. Learning what's important to your conversation partner can help you find common ground and suggest ideas that fit with their worldview. A variety of studies have found that vaccine opponents are pretty evenly split between liberals and conservatives, and they have a range of different reasons for rejecting vaccines. For many conservatives, for example, it's a matter of having the freedom to make their own choices. So, Alter says, explaining that vaccination helps protect others in the community might resonate well with liberals, but fall flat with someone who places a higher value on personal liberty. The World Health Organization has more helpful tips on how to respond to vaccine deniers. You can use a lot of this advice in other contentious areas as well, such as arguments over climate change. Alter says that although it's impossible for her to know whether her conversations have led to people getting vaccinated, sometimes people thank her for answering their questions. "I like to think that I'm actually affecting them, but I'll never be able to prove it," she says. The conversations have helped her develop some new lines of research. She's currently seeking approval for a study that would ask vaccine opponents, "What would you need to see, learn, or understand better before you vaccinate yourself or your children?" The study's goal would be to compile reasonable suggestions to recommend to doctors and other stakeholders. Some of these suggestions might take the form of offering allergy tests before vaccination, for example, or listing what each ingredient in the vaccine is used for. And she couldn't have picked a better time to get involved. 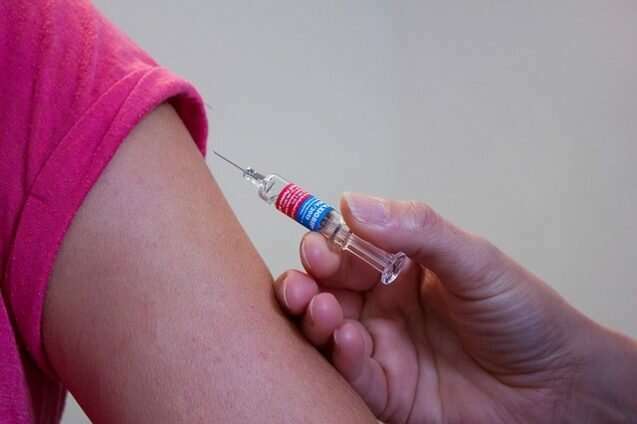 The World Health Organization names "vaccine hesitancy" as one of the 10 public health threats to worry about in 2019. "It's such a growing problem," Alter says, "and it seems like it's just the tip of the iceberg."